Description of fields used when entering or importing authority records using ISAAR(CPF) in a CSV file or entering the data manually. To download the ISAAR(CPF) CSV templates for AtoM, please visit our wiki page (link to come). ISAAR Rule refers to the rule from the applicable standard and/or the instructions provided by AtoM. The data entry fields for the Identity area of the ISAAR(CPF) authority record template. 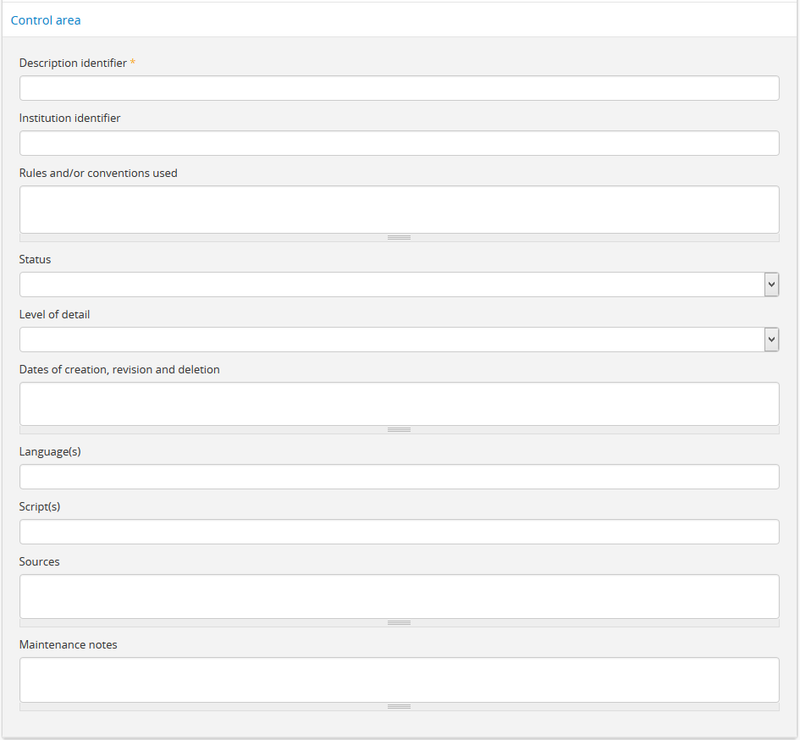 The data entry fields for the Description area of the ISAAR(CPF) authority record template. 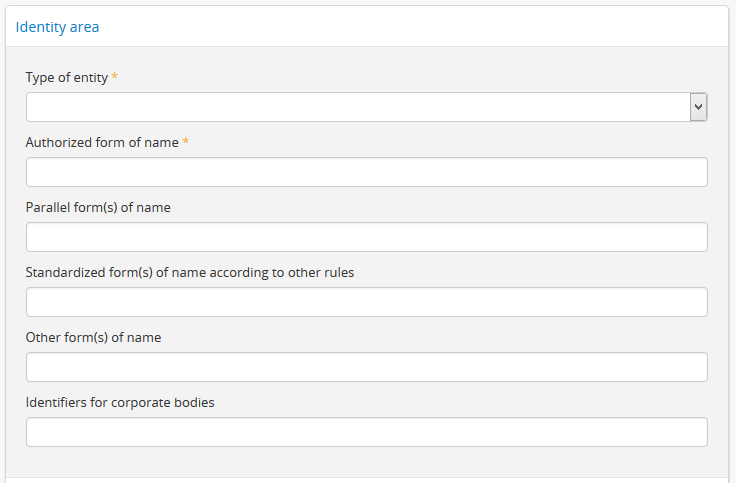 The data entry fields for the Relationships area of the ISAAR(CPF) authority record template. 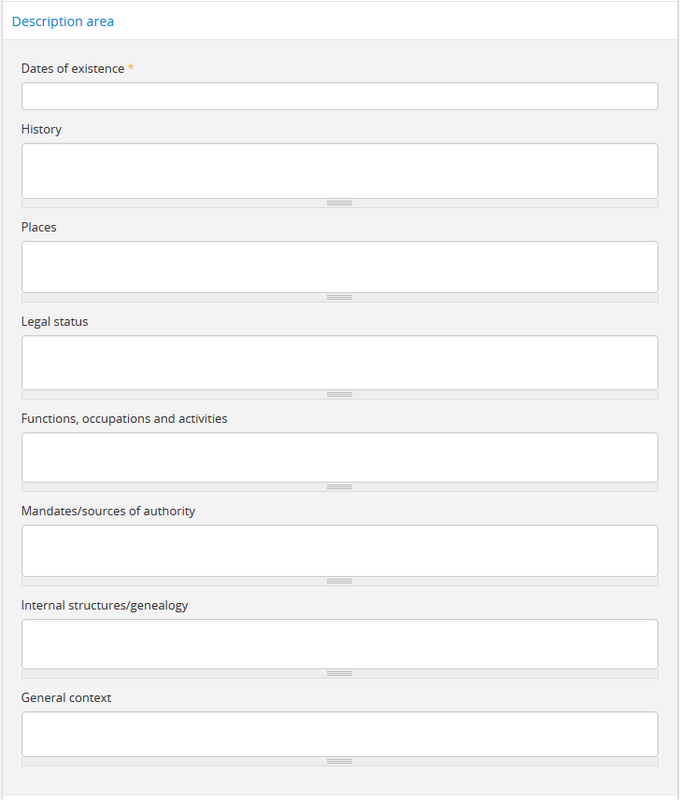 The data entry fields for the Control area of the ISAAR(CPF) authority record template.